First beer of the recent-PhD-graduate-party mess-fest. Good choice. Honestly, this beer is good. It's not a complex set of flavors, but who cares? If you do, you're a damned, dirty snob. 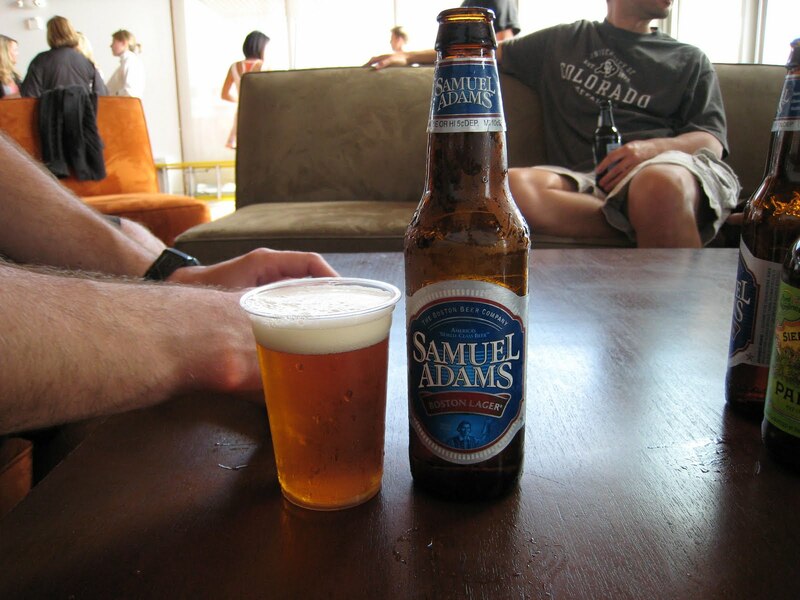 The flavors don't evolve much through each drink; it is consistently crisp and malty tasting. Nice. The result: 12-oz steps to happy-drunk status. 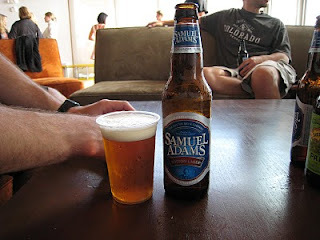 The best Sam Adams I've had was, no surprise, in downtown Boston out of a foot-long glass.